Catch fall color before it escapes with a scenic drive through Southern Wisconsin! Take Highways 78 and 12 in Sauk County for beautiful color along the Baraboo bluffline. Find more on the Fall Color Report. 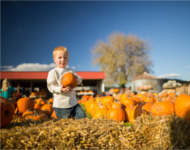 Whether you’re picking the perfect pumpkin or adventuring through a corn maze, find autumn activities the whole family will love on these weekend getaways. Discover the beauty of autumn in Wisconsin with a fall color road trip along the Mississippi and Wisconsin rivers. Check out these perfect places to stop along your tour! Fall has come late to the Lake Geneva region. The beauty of the colors mixed with so much to enjoy means that you can still come and experience all that fall in Lake Geneva has to offer. Head outside to enjoy fresh air and fabulous fall color with a walk on these Madison area trails! 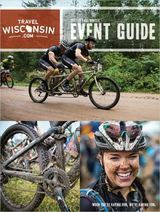 Order your free Fall/Winter Event Guide with 500+ events September-March. See the Packers battle Minnesota on December 23rd! You have until November 12th to enter for your chance to be part of the rivalry.